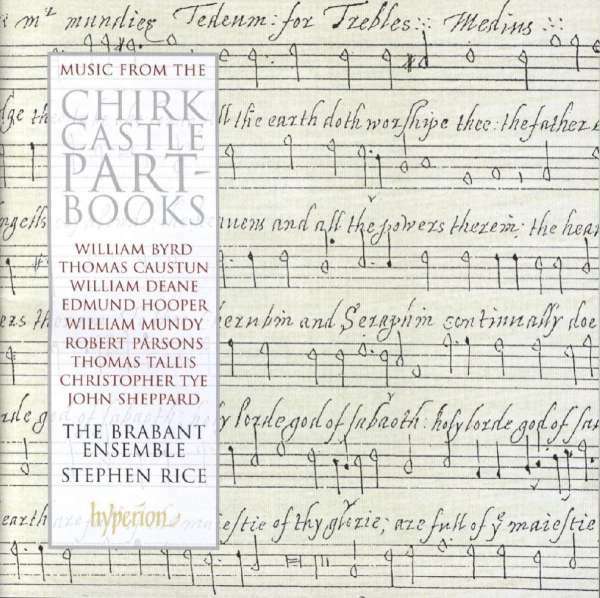 Der Artikel Music from the Chirk Castle Part-Books wurde in den Warenkorb gelegt. 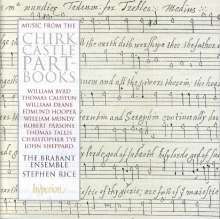 This disc presents a selection of works from the Chirk Castle part-books, a fascinating collection of devotional music from the Tudor period that remained hidden in the castle library for three hundred years. The Chirk manuscripts contain works for unaccompanied voices as well as verse anthems and services, scored for solo voices, chorus and organ. This recording focuses on the unaccompanied items, presenting for the first time a selection of the ‘full’ services and anthems found in the manuscripts, including seven unique to the Chirk collection. Among the ‘new finds’, the most significant are the Te Deum and Benedictus ‘for trebles’ by William Mundy. The two settings are designed on a large scale, exploiting the use of high trebles, and Mundy cleverly employs choral groupings of various types to provide maximum contrast. The textures throughout are reminiscent of Sheppard’s best Latin compositions and by intensifying the contrapuntal activity in the closing sections of both canticles, Mundy takes the music to an even higher level. This is the first recording of these important canticles.